Do you suffer from insomnia or poor quality of sleep? 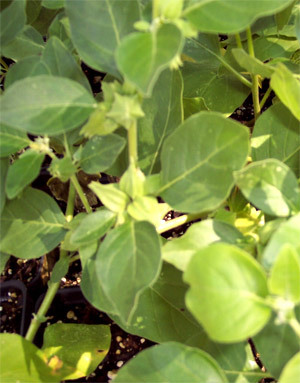 A popular ancient herb, widely used in Ayurvedic treatments, often referred to as the king of herbs, namely, Ashwagandha, was used for centuries in Ayurvedic line of treatment to promote sound sleep, say Indian researchers. Their study showed that an active component of Ashwagandha leaves, ‘Triethylene glycol (TEG)’, reduces sleep related disorders. According to Mahesh K. Kaushik from the University of Tsukuba in Japan, the research team investigated the effect of various components of Ashwagandha (somnifera) on sleep in mice and recorded the electroencephalogram and electromyography. It was noticed that Ashwagandha significantly induces sleep and may revolutionise the natural plant-based therapies for insomnia and sleep-related disorders. A water extract of the leaf of the plant, rich in TEG increased non-rapid eye movement (NREM) sleep and slightly changed rapid eye movement (REM) sleep. On the contrary, the alcoholic extract containing active withanolides showed no impact on sleep, while the sleep induced by TEG was as good as normal sleep. Further, TEG which is commercially available increased the amount of NREM sleep. Therefore, the researchers concluded that TEG is the active component that induces physiologically sound sleep. Sleeplessness and other sleep disorders like restless leg syndrome are common complaints among the middle-aged population. Insomnia is one of the most common neuropsychiatric disorders with an estimated 10 to 15 percent seen in general population, and 30 to 60 percent seen in elderly population. Insomnia is closely linked to certain other diseases including cardiovascular diseases, obesity, depression, anxiety, mania deficits etc. The otherwise available over-the-counter medications for synthetic drugs often show severe side effects. On the other hand, Ashwagandha crude powder with significant amount of TEG can help immensely in better sleep, without any associated side effects, researchers concluded. Previous Post Previous post: Home Remedies for Wet Cough – Get rid of them!